Welcome home to Capstone. Newly built in 2014. This boutique, concrete residence is located in the heart of Lower Lonsdale's bustling community. Large one bedroom + den offers open concept living space extending onto generous sized western facing patio offering great mountain views and a glimpse into the city lights. 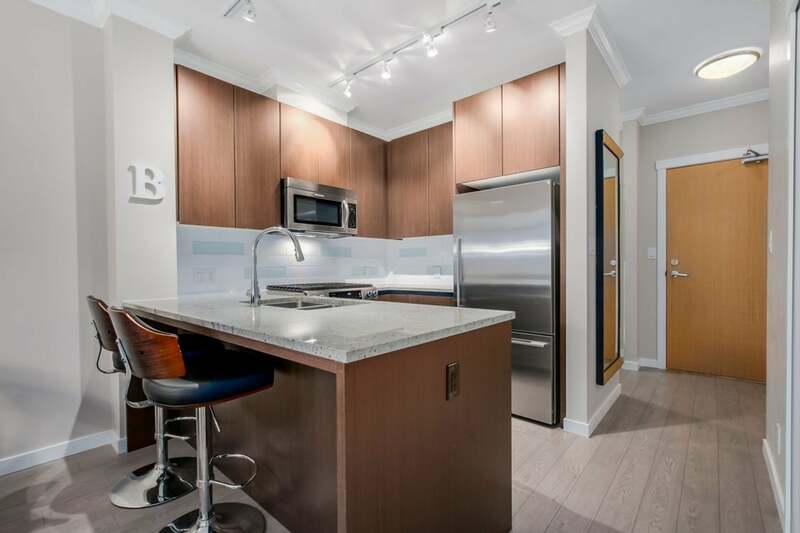 Features include over-height 9 foot ceilings, upgraded crown moulding finishes, ample natural light, large living room, and a stainless steel gas kitchen appliance package. Ideally located only steps to the sea bus, shopping, dining and entertainment. Still balance of 2-5-10 home warranty. Click here for more details.